Located opposite Gaikwad Petrol Pump in Aundh, we came across Harron'z Kitchen, a teeny tiny new food joint for authentic Lebanese food. 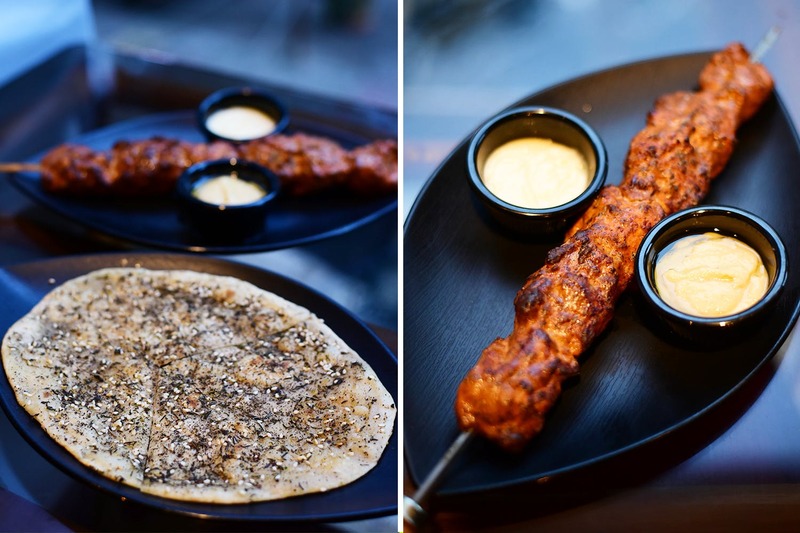 At Harron's, it is all about scrumptious Lebanese food. The ambience, on the other hand, is a humble one - neat and clean but nothing too fancy. We quite like the idea of their wallpaper that looks like a vast Mediterranean desert with clear blue skies, the ceilings are done up with gorgeous hanging lamps and the space is filled with quaint cane furniture. Coming back to the food, the menu has an eclectic collection of shawarmas, kebabs, pilaf and beverages. We recommend you try their mutton with Bulgar pilaf, which is daliya cooked with juicy mutton pieces in Lebanese spices. Pair the rice with a side of chermoula chicken kebabs marinated green sauce and saucy mushrooms tossed in Lebanese masala. End this hearty meal with a cup of kahwah, which is a traditional green tea served with saffron strands, cinnamon bark and cardamom pods. The only thing that the menu lacked was some traditional Lebanese desserts like basbousa and baklava. Harron'z Kitchen serves prawns only on the weekends. So, must visit the place either on a Sunday or a Saturday.